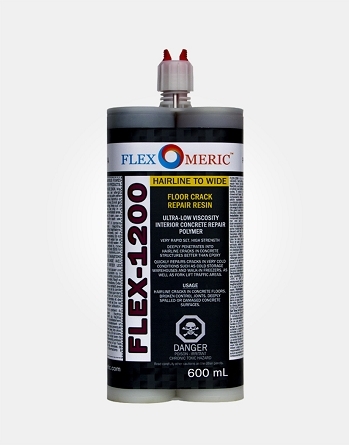 Concrete cracks happen due to various factors and under various conditions, and some cracks are best repaired by high quality concrete that entail professional intervention. But technological advances in modern construction have produced excellent repair materials that include polymer-modified concrete and resins that produce better bond and longer-lasting durability. As professional repairs can be costly and time-consuming, most households go the DIY route. 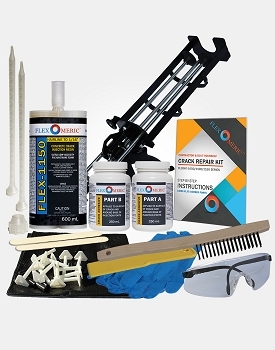 We manufacture the highest grade concrete crack repair materials, tools, and kits for professional contractors to give peace of mind and the best warranty for their customers. We aren't satisfied until your customers are, and we work tirelessly to ensure the highest satisfaction for our contractors. 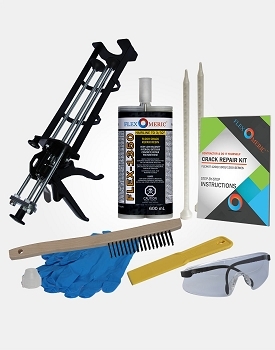 If you would like to register as a contractor and get special offers and deals, please visit our Contractor Center. 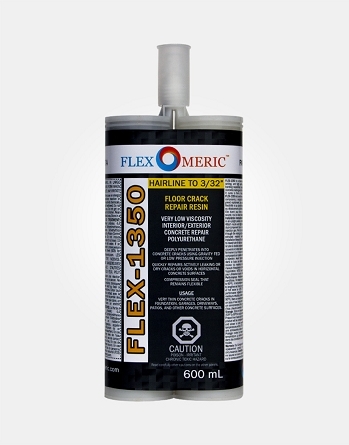 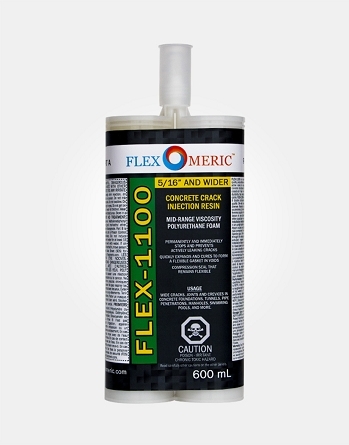 FLEX-1050 is a dual component, low viscosity, high quality polyurethane injection resin. It is designed for sealing active leaks in various cracks or joints in below grade concrete structures.